Protect Your PHI and Data Assets. Be Fully Compliant. Reduce Risk. Is your infrastructure vulnerable to ransomware attacks? Are you concerned about breaches? solution. 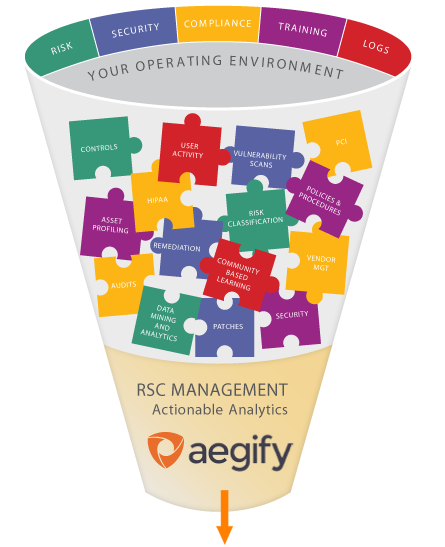 Aegify can plug your RSC gaps with any of our outstanding standalone products. Aegify Risk Manager is an intuitive and easy solution to lowering corporate risk. Manager is an intuitive and easy solution to identify and resolve security gaps and vulnerabilities. a unified platform for all your compliance management activities. You are liable for the actions and omissions of your Business Associates and your vendors. Aegify BA-Vendor Manager protects you from costly penalties, and potential criminal prosecution. 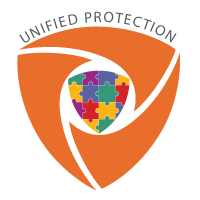 Protect mechanisms to secure your Organization for complete peace of mind. Laptops, tablets and mobile devices connected to corporate networks creates security threats. Aegify Security Manager identifies and plugs vulnerability paths, reducing security threats. RISK management is not optional for healthcare, retail and financial organizations. When SECURITY breaches happen, critical data is compromised, jobs are lost and profits disappear. Managing the regulatory maze is challenging. PCI, ISO and SANS 20 COMPLIANCE is best practice. HIPAA, GLBA and FISMA COMPLIANCE is the law. Risk, security and compliance (RSC) protection is complex and cumbersome. Until now. Discover the effective simplicity of a unified RSC solution. Discover Aegify. Summary: The Department of Health and Human Services Office for Civil Rights is ramping up and standardizing how smaller health data breaches are investigated by its regional offices, adding staff to support the effort, says Iliana Peters, OCRs senior adviser for HIPAA compliance and enforcement. Summary: Jude Medical Center recently responded to allegations that medical device security flaws exist in its pacemakers and other heart devices, calling the accusations false and misleading. UNIFIED SOLUTION. Hard to believe, but Risk, Security and Compliance are still siloed efforts. This is inefficient, costly and less effective. With Aegify, silos are a thing of the past. 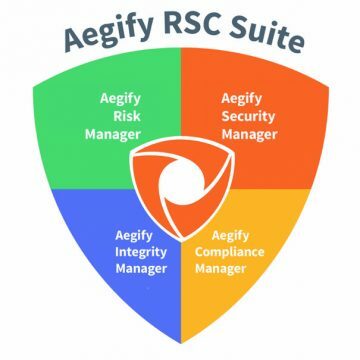 It’s time you discover the benefits of a unified solution, Aegify RSC Suite. SOLVING THE UNSOLVABLE. HIPAA regulations mandate “Covered Entities” to assure the compliance of not only themselves, but of all their business associates (BAs) and vendors. Since a typical 400-bed hospital has 300-500 BAs, it’s not hard to imagine the resource intensive complexity required. Fortunately, there’s a better way, Aegify Integrity Manager, the world’s first solution of its kind. DISRUPTIVE AFFORDABILITY. Not only does Aegify provide the best Risk, Security & Compliance solutions, we are committed to acquiring market share over the long term. For you, this means exceptional value at a surprisingly affordable price for any product we sell including Aegify Risk Manager, Aegify Security Manager and Aegify Compliance Manager. 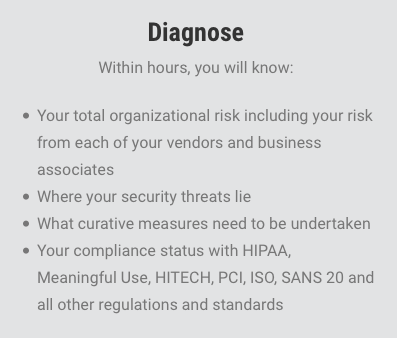 Are you confident your business associates are compliant with HIPAA and other regulations? Are burdens of compliance forcing you to take calculated risks due to resource constraints? Do you have multiple siloed solutions that cause integration, management and financial headaches?